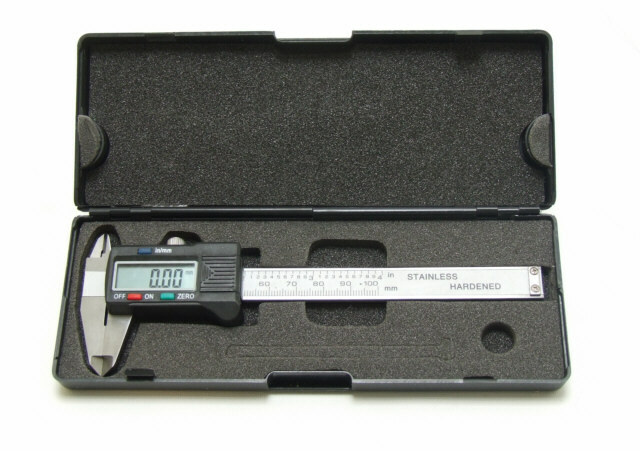 Digital caliper with 100mm range. Hardened stainless steel, smooth action, excellent quality. Readout with 0.01mm resolution. Switchable between metric sizes and inches. Reduces measurement errors. Storage case included.